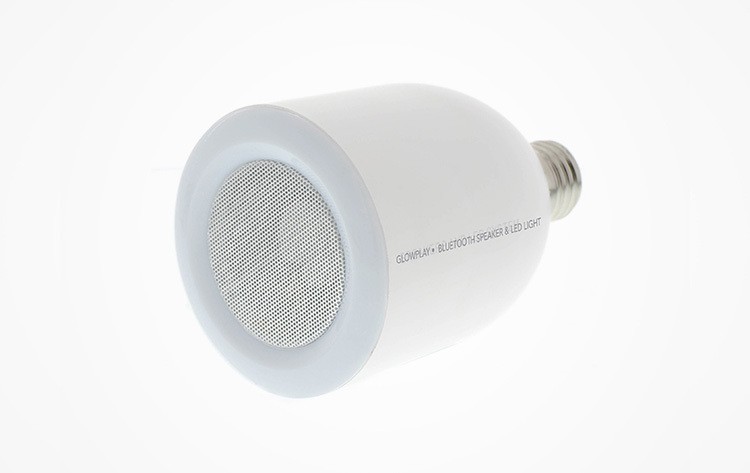 The Glow Play is an LED Light Bulb that has a hidden speaker built into it, so that when you turn the light bulb on via a switch, pull string, or the remote, it will start playing music from whatever device it's synced up to. 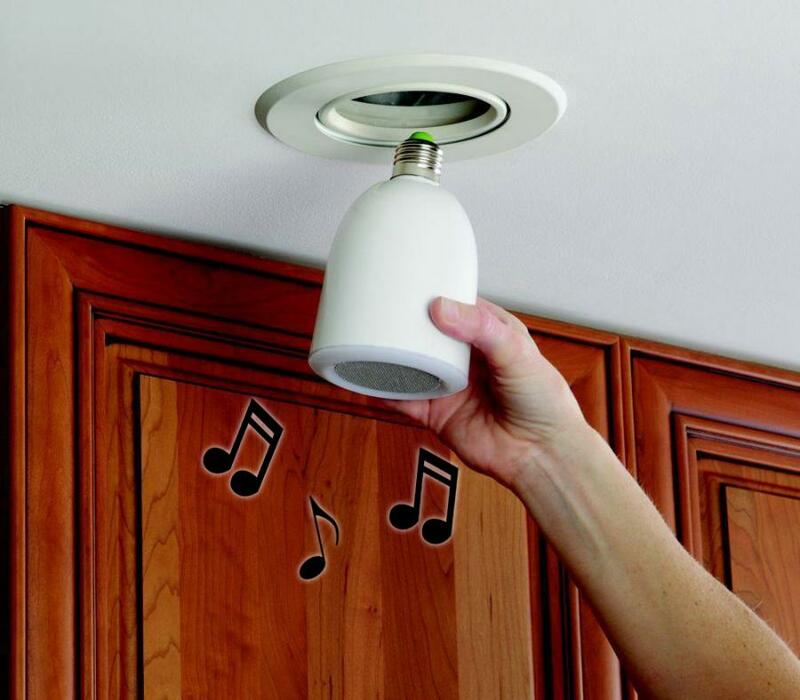 Using Bluetooth, the smart light bulb can connect to any device and will stream and play music whenever the light is on. The smart bulb works just like any other light bulb you might have by screwing into any standard light bulb socket. 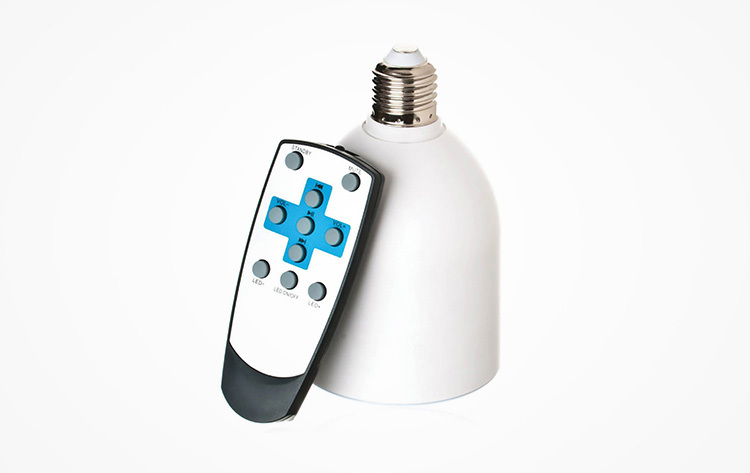 Plus, using the included remote you can turn the light on and off, control the brightness of the light, change tracks, control the volume, play/pause, mute the speaker, or put the speaker on standby. 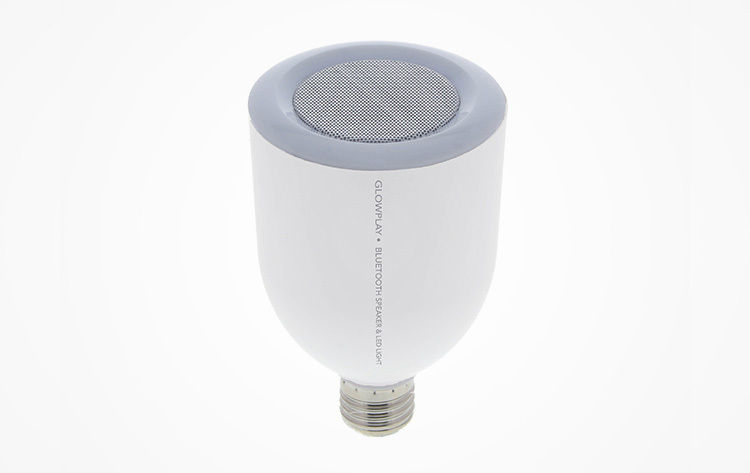 The smart light bulb speaker is compatible with any device that supports Bluetooth, has a 30 foot range from whatever device you're connected to, does not require any downloadable app or 3rd party software, provides over 50,000 hours of light and music, is white in color, and measures 7 inches long x 4.6 inches in diameter. 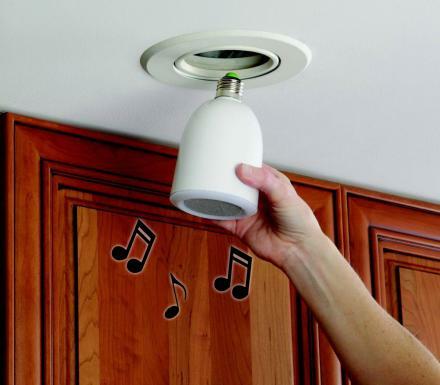 Check out the smart light bulb speaker in action via the video below.